Bring a large saucepan of salted water to a boil over high heat. 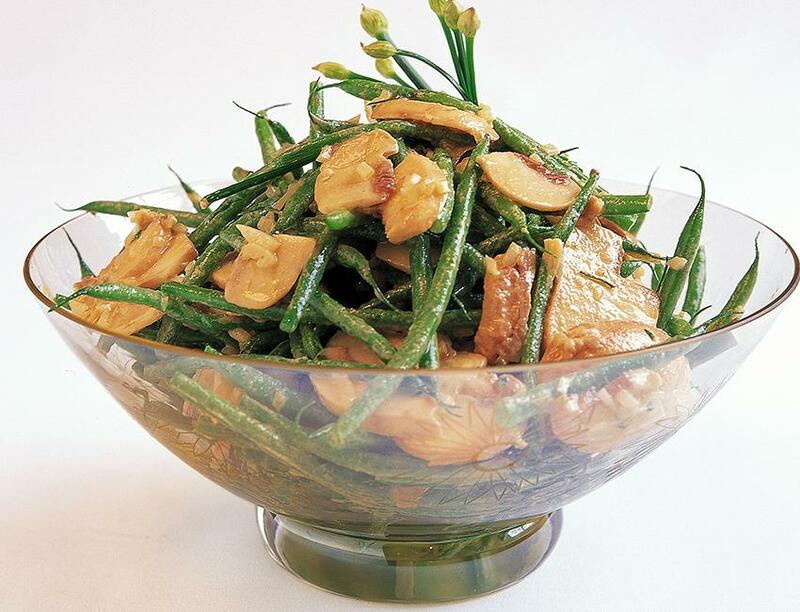 Toss in the green beans, and cook for 10 to 15 minutes, until the beans are just tender but still firm. Drain and place them in a large bowl. Whisk together the oil, Marukan Genuine Brewed Rice Vinegar, and mustard in a small bowl until the dressing is blended. Add the mushrooms and shallots to the bowl of green beans, and pour the dressing over the top. Season with salt and pepper, tossing gently to coat, and serve at room temperature.